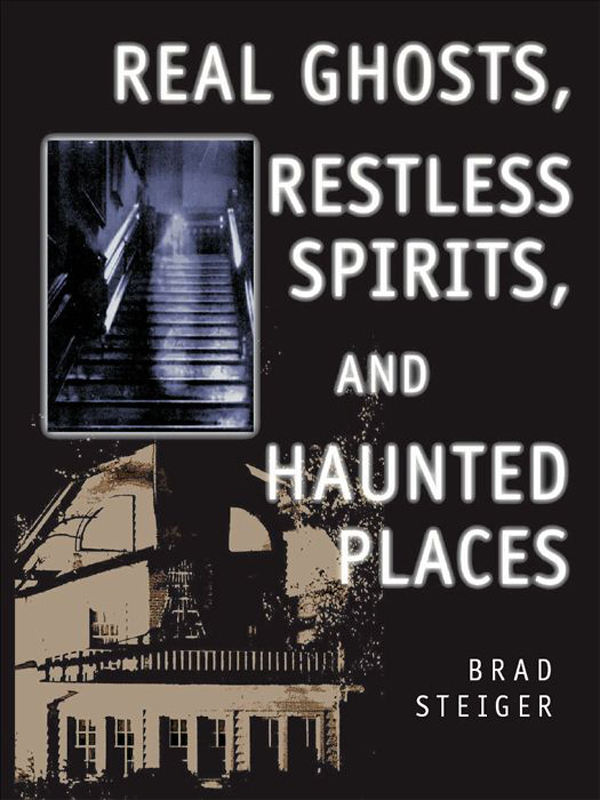 Restless Spirits & Haunted Places – Essential Paranormal Reading! A reader’s review: I’ve read Steiger’s writings since he first started publishing and have always been amazed at how he manages to capture important nuances that seem to escape the average writer. Brad has put into practice all that he has written about. He is definitely familiar with a wide variety of paranormal phenomena and has been able to bring many theories and thoughts on the subject together in this book. “Real Ghosts, Restless Spirits, and Haunted Places” is one of the finest compendiums of ghost stories I have ever seen. In fact, I doubt that it would be possible to find a book that features more information on the best known reports of a haunting, along with lesser known reports published for the first time. Along with the stories, Steiger furnishes many of the techniques employed by modern paranormal investigators. This information is simply missing from most other collections of ghostly tales and helps the reader understand the current theories and approaches investigators have in this field. Everything in this book including the Appendixes, with movie recommendations, and a listing of paranormal groups makes this book a solid addition to anyone’s library, whether it is for the serious researcher or those who love a good ghost story and would perhaps like more in depth information on ghosts and haunting activity. I’ve spent over 35 years researching and investigating in this field and cannot think of anything that Brad has failed to at least touch on with this work. It is certainly a Magnum Opus, and I highly recommend it to anyone with an interest in the subject. ADD THIS ESSENTIAL BOOK TO YOUR PARANORMAL COLLECTION!